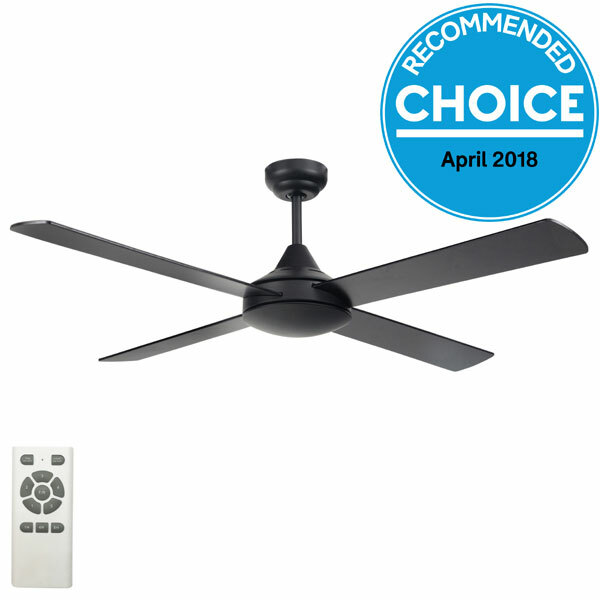 This particular model of the Eco Silent DC ceiling fan by Fanco comes with a 52″ Blade Span, a Black motor and Black timber blades. Remote is ready to use once fan is fully install. No setup required. With a simple yet modern design, the Eco Silent DC will suit most interiors. Operation is by remote control which operates its 5 speeds and reversing function for summer and winter use. The Eco Silent represents incredible value and is a good option for bedrooms and living areas. If you require a light, see alternative listings. For the model with a 48″ blade span please see other listing.